Author: Fraser, George MacDonald Set In . 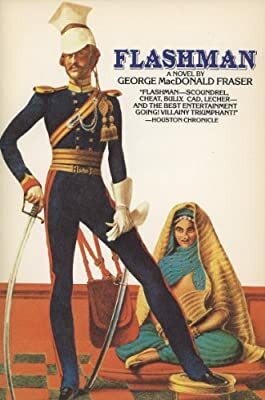 . .
Fraser revives Flashman, a caddish bully from Tom Brown's Schooldays by Thomas Hughes, and relates Flashman’s adventures after he is expelled in drunken disgrace from Rugby school in the late 1830s. Flashy enlists in the Eleventh Light Dragoons and is promptly sent to India and Afghanistan, where despite his consistently cowardly behavior he always manages to come out on top. Flashman is an incorrigible anti-hero for the ages. This humorous adventure book will appeal to fans of historical fiction, military fiction, and British history as well as to fans of Clive Cussler, James Bond, and The Three Musketeers. Flashman is the first book of the famous “Flashman Papers” series.